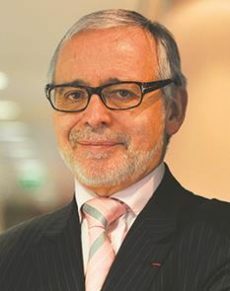 Thierry Sueur has spent nearly a quarter of a century as vice president of IP and vice president of European and international affairs at Air Liquide; before that he was at Thomson (now Technicolor), where he was instrumental in developing its world-class licensing operation. Since 2012 he has also been vice president of the French arm of the International Chamber of Commerce, and has helped to shape IP policy in the country as chairman of the IP Committee of French business federation MEDEF and vice chairman of the board of the French Patent Office. Further afield, as chairman of the Patents Working Committee of Business Europe, he has worked hard to ensure that the industry’s voice was heard during the negotiations on the creation of the unitary patent and Unified Patent Court in Europe. Sueur was president of LES International in 2001 and 2002, and received the LESI Gold Medal in 2005. He was made a Chevalier de la Légion d’Honneur in 2007.